Fresh fruits and vegetables are the mainstay of any healthy lifestyle. If your garden is a great producer, or your farmers' market had too many good items to pass up, you'll be faced with the challenge of keeping everything fresh until you can use it. Storing fruits and vegetables in the refrigerator at temperatures lower than 40 degrees helps keep foods fresh and safe from and overgrowth of bacteria, according to the Food and Drug Administration. But simply placing them in the refrigerator is not enough to keep them at their fresh best. Wash greens and leafy vegetables before storing them in the refrigerator to keep them crisp. Wrap the washed greens in a paper towel and place them in a bowl or open plastic storage bag. Do not wash other fruits and vegetables until you intend to use them. Store fruits and vegetables in separate drawers. Storing these fruits and vegetables together can cause over-ripening due to the natural gasses that fruits emit. Don't cut your fruits and vegetables until you intend to use them as this makes them spoil faster. Cut fruits and vegetables have more surface area that comes in contact with air and with naturally occurring bacteria. If you do cut fruits and vegetables in advance, store them in air-tight containers for only a few days. Use your crisper drawers, if possible. Crisper drawers contain more humidity than the rest of the refrigerator and can help extend the life of your fruits and vegetables. Use one drawer for fruit and one drawer for vegetables and herbs. 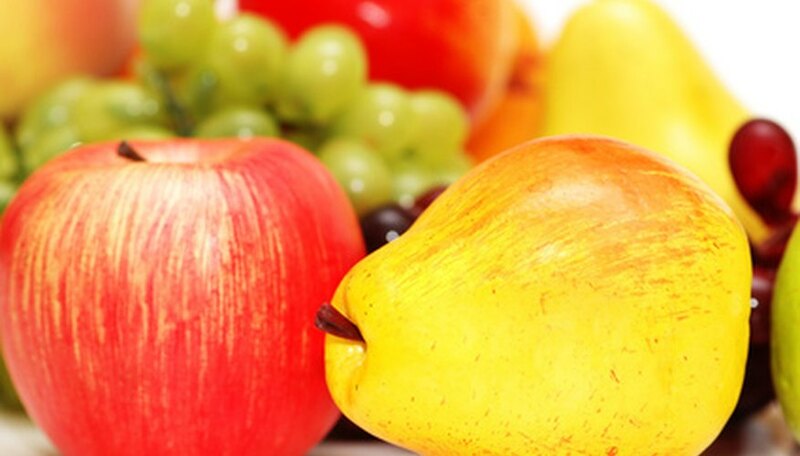 Do not store apples in the refrigerator with your other fruits and vegetables. According to the University of Washington Extension, apples give off ethylene gas, which causes vegetables like carrots to have a bitter taste. Store apples on a countertop or on a high refrigerator shelf. Use storage containers with tight-fitting lids, plastic bags or plastic wrap to store partially used or cut vegetables. Avoid using aluminum foil, as this can change the taste of the fruits and vegetables it comes in contact with. This is especially true for acidic foods like citrus.